2 Back to Back systems on the Bay Horizon. According to the map attached. the waters in Bay of Bengal are still very warm measuring up to 32c. As a result, it does not need much forecasting to predict a low in the waters. 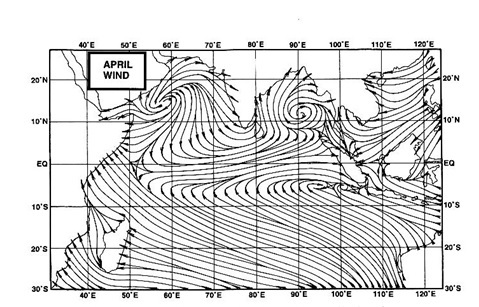 IMD and international forecasters precict a fresh low-pressure area in the Bay. All models agree that the ‘low' should materialise by October 13. North-Northeast along the coast as was the case with the previous case. And as per the most likely estimate, the deepening system will move North-East, along an Easterly wave and will cross the coast at A.P. around the 15th. as a depression of 998 mb intensity. A low pressure system now prevailing in the sea off the Vietnam coast can be expected to pulse in from the far east, and is expected to make its appearance near the Andaman Sea by the 19th. of october. Its travel plans will be chased and monitored as and when. Where and how is the SWM placed now ? As far as my reading goes, and looking at the wind chart, we see most of the region above Mah. in the NW wind regime. Strong NW winds are sweeping from the North into the Central peninsula, and similarly, the complete area is in the low humidity, anticyclone zone. This confirms our monsoon retreat North of Mah.declared earlier. Now, with the depression having spent itself in the NE states, I would consider withdrawing the SWM from all over the east too. In the aftermath of the system, the wind pattern shows the monsoon axis having now slid down to just above the 20N level. Now depending on the track of the upcoming low/depression and apt sliding down of the axis, withdrawing the SWM from the South, but introducing the commencement of the NEM could be considered. This, after confirming the new depresion moves inland riding on the easterly wave.